How to make a grown man cry. SHAME ON YOU! It’s the Olympics, you’ve just won a bronze medal, but nobody is asking YOU if you want to go to Disneyland. Nope, let’s try something different. In an effort to—I presume—do a job well, Christin Cooper has dropped the snowball and failed miserably. Perhaps if she were interviewing a serial killer and trying to get the names of his victims, but THIS? This was torture of an innocent man. I realize that her expertise is NOT on air interviewing—more in the former alpine skier department—but she must have a heart in that body. Don’t go blaming the frigid Sochi air, since there ISN’T ANY. 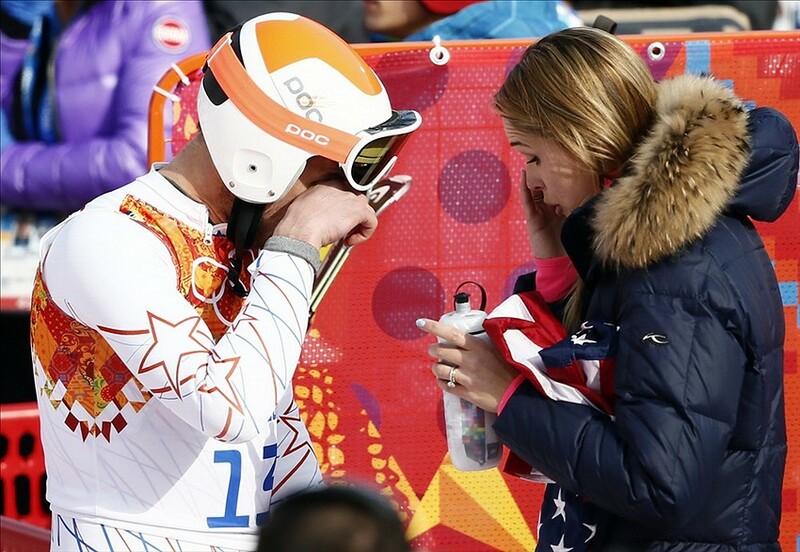 Her interview and interrogation of Bode Miller’s feelings upon winning a bronze medal was painful to watch. Question after question she berated this man about his brother who passed away last year of a seizure. This was an unforeseen death. The death of his younger brother, a 29 year old snowboarder, who Bode was CLEARLY very close to, was not even a year ago. Surely an incessant barrage of questions on that subject seems like the logical way to go. *eyes rolling* I give Bode Miller a big thumbs up for being so understanding and likely saving Ms. Cooper’s career. He tweeted: “I appreciate everyone sticking up for me. Please be gentle w christin cooper, it was crazy emotional and not all her fault. #heatofthemoment” I don’t necessarily agree. Anyone who has lost a loved one in any way, let alone a young person in an unexpected way will surely cringe at her interrogative inquest to his immensely personal feelings. So, sorry Christin Cooper, but you are my FOOL DU JOUR. I don’t even know how I feel about this. Disgusted was my first thought then well, disgusted again. Somewhere down the line I wondered, is this REALLY what a New York City surgeon has to do to get a date? I mean, REALLY?? The answer—in case you were wondering—is ABSOLUTELY, if you are a weirdo. Dr. Emil Chynn is a New York City Plastic Surgeon. He is a Columbia grad with his residency at Harvard and self-professed member of Mensa. He is having a hard time finding a date. I was trying to muster up some sympathy—really I was, but HOW? When the rest of the single world is lowering the bar—and I mean low enough for Dachshund to walk under it, he has a list of demands—I mean preferred qualities that really aren’t so much preferred as they are REQUIRED. The fact that he has been going at this for some time makes me wonder how Dr. Mensa hasn’t figured out that perhaps his approach needs some modification. This guy’s pathology upon further investigation shows a history of creepy craigslist ads going back some time, offering women who must show a photo, an amazing deal on a West Village Apartment in return for “cooking, cleaning, and other unspecified favors”. (Nothing sexual) Another ad on craigslist going a few years back offered a free studio on Park Avenue in return for being his physicians assistant, walking on his back for an hour—if you are under 115 lbs and being a woman. Also, tidying up his ski house, his beach house, and his OTHER beach house. AND, of course, find him a girlfriend. He has been at this A WHILE. After a recent networking event, Dr. Goodsense sent out a mass email in order to rein in his dream girl. This is for real. Well, in that I am delusional and think I am getting a unicorn for my birthday kind of real. I really hoped these requirements had been revised BUT they have not changed since his 2012 endeavor. Requirements… Age: 27-35 (Ideally 28-34), No Kids, wants kids in the next 1-2 years, College graduate, doesn’t have to be a great school, but needs to have finished the degree, Skinny, (i.e. dress size 0-2), Caucasian, (not Black, Hispanic, or Asian), Healthy lifestyle, (defined as no smoking, no drugs, good diet, no hard drinking). Is now a good time to mention that our socially challenged physician is 47 years old? Well, I just don’t know why the offers aren’t flooding in. The perks to setting up Dr. Delusional with the girl of his dreams—actual DREAMS—are quite enticing. Our awesome Columbia University Alumni, Lasik doc—from his Park Avenue office, has offered $100 for finding him a 1st date. And if Doctor Super Picky has a 2nd date, you could score some of his offices cosmetic procedures! Yes, for a 2nd date you could have free eyelash enhancer or $200. This is sounding more like a Chuck Woolery production at every turn. On the very unlikely chance of that coveted 3rd date, you could have Botox or $300. For the nearly implausible 4th date he offers free Juvederm injections or $400. And were there a sign of the apocalypse 5th date, you could have free Lasik surgery on ONE eye—a $2,000 value—or $500 cash. In my very brief defense of Dr. Demento, he admits to being “picky”. And, I sincerely hope he can resolve himself to being single. I only pray there isn’t a woman out there that finds his brand of E-harmony at all alluring. Even if I fit ALL of his qualifications, which I do not, I wouldn’t want anyone for whom these are the deal breakers. I am guessing it is perfectly fine if this elusive and ideal woman of his listens to death metal while torturing insects in the sun with a magnifying glass. I imagine she can also have horrifying hygiene or be a hoarder. Of course she can, as long as she is a college grad who hasn’t eaten since graduation. There is a part of me that actually wonders how this turns out for him. This is reality TV without the TV. I might have to rely on the Huffington Post for updates. But is this really the world we live in? I realize how hard it is to find someone in a society where we are all so busy that eating a proper meal and getting enough sleep takes a back seat to our jobs and careers, and maybe I am just a romantic at heart, but I would never put such stringent “qualifications” on a human being. He is missing out on the HUMANITY of humans. Then again, I am not sure that Dr. Strangelove understands humans outside the cadavers he studied in med school. Good luck, DOC, and you might want to check out an old movie… Weird Science—suits you. 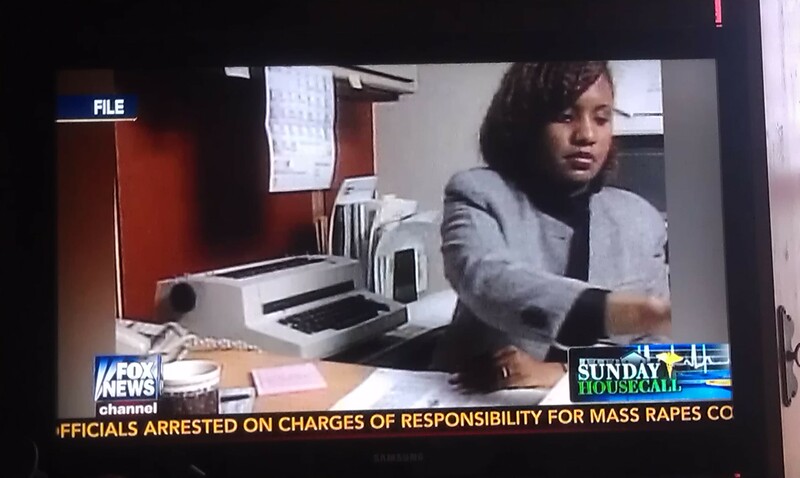 YOU ARE MY Fool du Jour, Fox… Did you think I wasn’t paying attention? 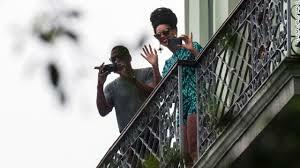 In a communist country, where the immeasurable majority is oppressed, Beyonce and Jay Z spent their 5th anniversary living the high life, in high-profile and posing for propaganda photos in lovely Havana. SHAME on them. I am glad Senator Marco Rubio, among others is calling them out on choosing a communist, oppressed country, to CELEBRATE their anniversary. — They didn’t even pretend to make this a humanitarian trip. Sickening.